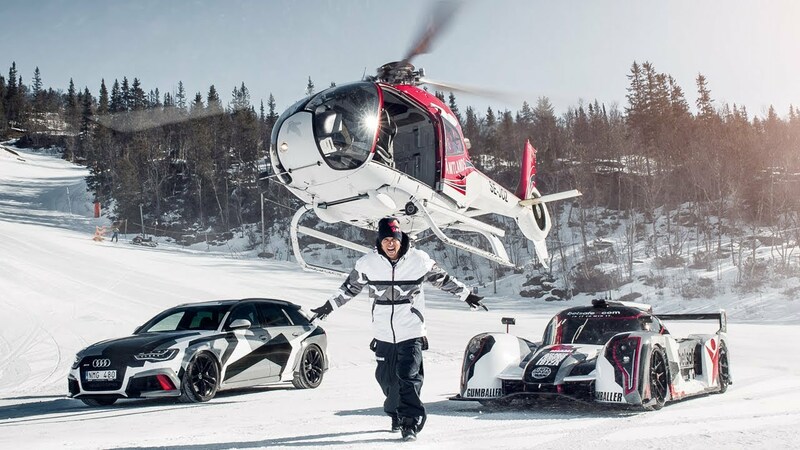 Most everyone the car world knows of Jon Olsson and his incredible taste for high end automobiles. He initially made his mark as an alpine ski racer and then moved into free skiing and later modeling, where he has become majorly successful. Now, because of this success, he has some of the best vehicles money can buy and he loves to modify them. Olsson has had some amazing cars in his past, the 1000hp RS6 was one of my personal favorites. But nothing compares to his Lamborghini’s. All of his cars are fitted with a sleek ski carrier fitted on top that are usually custom made out of carbon fiber or something along those lines. He’s a professional skier, would you expect anything else? Normally the thought of slapping a ski rack on a Lamborghini Murcielago or Gallardo would seem like a ludicrous thing to do, but the way he pulls it off is nothing short of spectacular. Maybe it’s the cool looking geometrical snow camo wraps that does it. His most recent car is the Murcielago that has been fitted with a rear wheel drive setup versus the all wheel drive that came stock. It’s also fitted with a full carbon DMC body kit, IPE exhaust, and AP racing big brake kit as well as a list of other cosmetic upgrades. Lamborghini Murcielago before getting the wrap and ski rack. 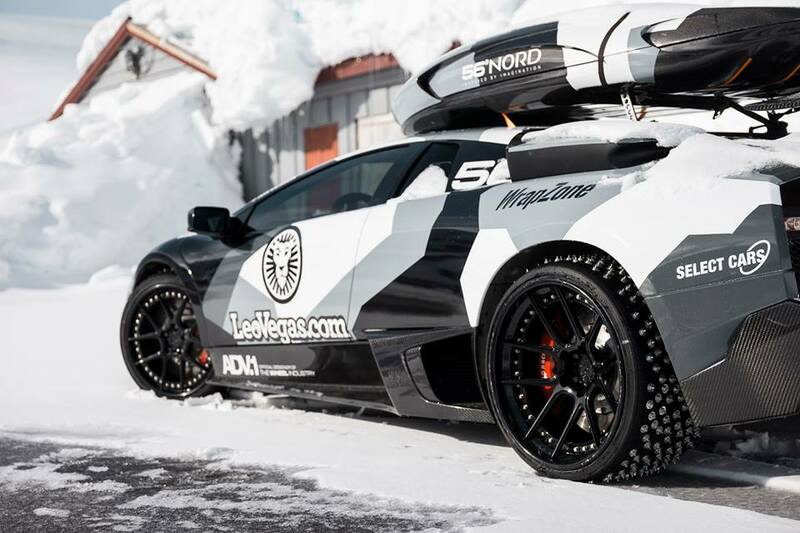 Olsson has a popular VLOG wagon and his latest episodes show him attempting to conquer Fonna Glacier ski Resort with his badass Murcielago. The idea was to fit the car with super studded tires, like you would see on the trucks at the Red Bull Frozen Rush, and then drive it up the ski runs to the top of the glacier. His first attempt was unsuccessful as the snow was not wanting to cooperate and it looked as if Olsson would not make it to the top. But then he released another video where the snow conditions were ideal and the car as able to perform brilliantly. 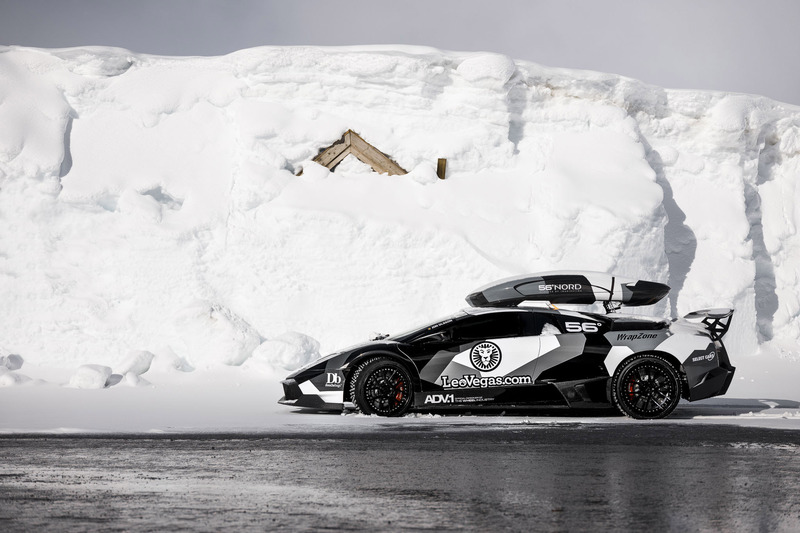 I didn’t think it could get anymore fun than driving a trophy truck on snow with studded tires, but a rear wheel drive Lamborghini up a glacier would definitely qualify. So sit back and enjoy both the failed attempt, then the victorious run.